Simple construction, high quality & moderate pricing. 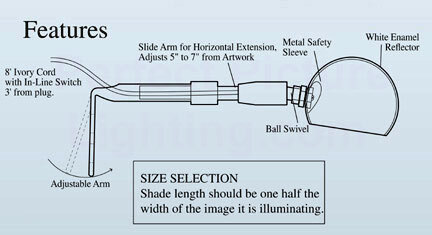 Classic lampshade extends 5 to 7 inches from artwork. Shade designed with a metal safety sleeve and white enamel reflector.